Does Eating Chicken Make People Fat? Why are people in the United States so fat? Is it something in our food that is making us fat? My wife and I spend a few months every year in Mexico and one of the things I have noticed is that Mexicans eat a lot of chicken. They have chicken stores just like we have MacDonald's at home. The interesting thing is that both the USA and Mexico share the same obesity problem. I find this strange as other health problems like Alzheimer's occur much less in Mexico than it does in the United States. There is one other group in the United states that is also more prone to obesity than most Americans. This group is African Americans and once again it turns out that African Americans also eat a lot of chicken. All this leads me to wonder if it is the chicken we eat that makes us fat. When I looked into chicken I found out that chickens are not grown like other animals It turns out that chickens are a special case. We have developed chemicals and antibiotics that cause the growth rate of chickens to almost double. Here is a quote from a site talking about chicken food. "In 1957 the average growth period for an eating chicken to reach slaughter weight was 63 days. By the 1990's the number of growth days had been reduced to 38 and the amount of feed required halved." All this was done with a combination of antibiotics and chemicals. So could it be possible that these same chemicals and antibiotics that caused the increased growth in chickens could also be in the meat and continue to cause the weight of the people that eat that chicken to also increase. I think It may be possible. 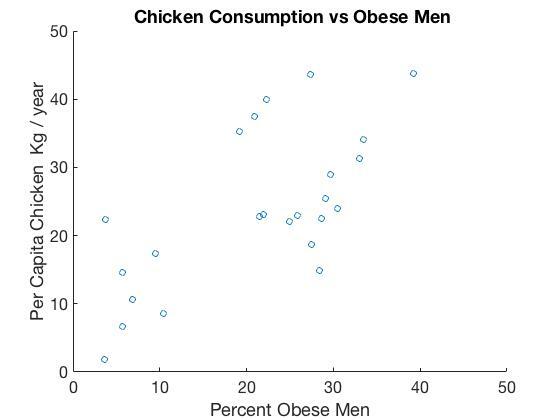 Here is some data gathered from the internet showing the chicken consumption rates for different countries as well as the percent of men that are obese in those countries. To me it looks like there is a real chance that at least some of our obesity is caused by the foods we feed to chickens. 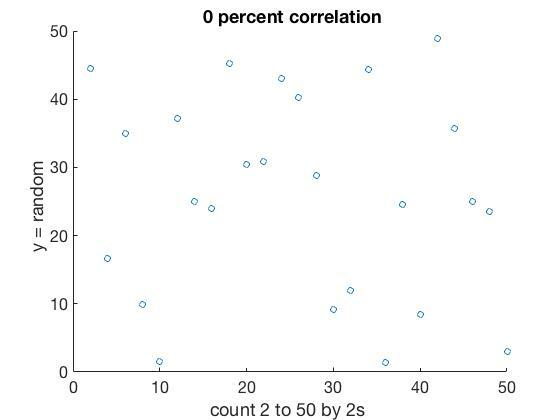 Perhaps there is no correlation. 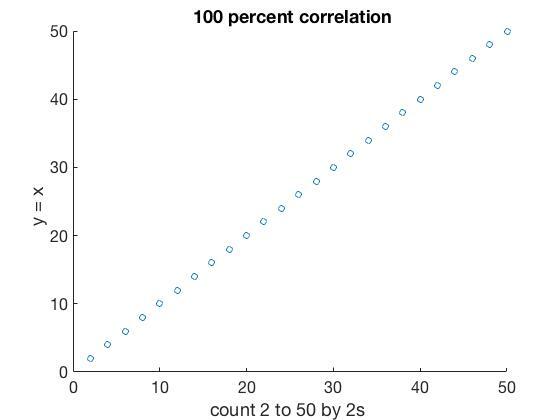 Lets compare the above with graphs of zero % correlation and 100 % correlation. 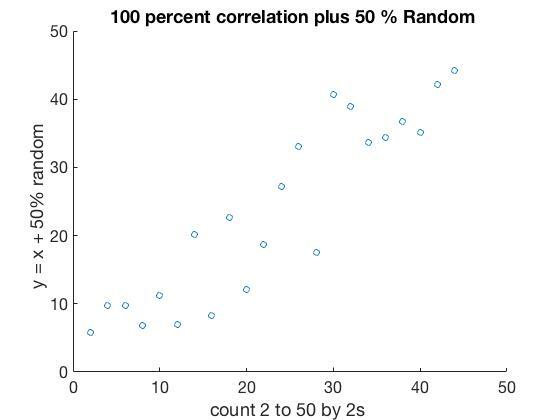 Now that we know what both random numbers are as well as correlated numbers are lets look at 4% correlation as well as 50% correlation. So what have we found out? 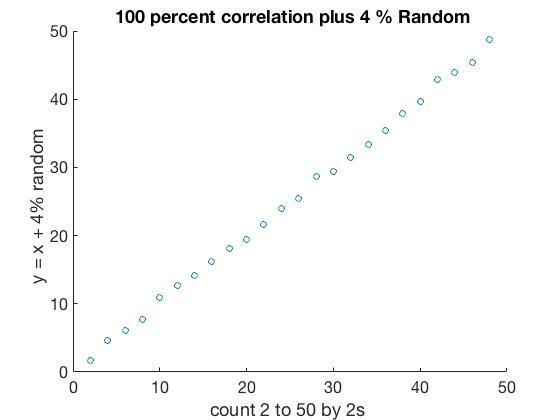 Lets compare 50% correlation with the experimental data. They look close to the same. Perhaps there is some validity here.